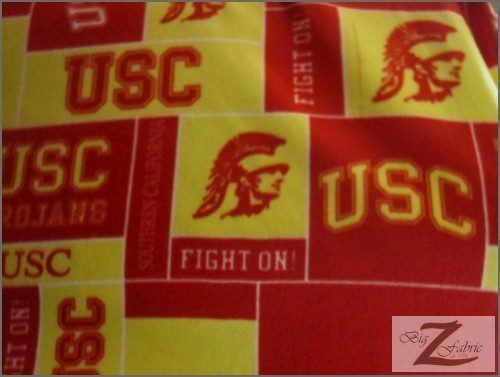 Sports printed fabric is a great option for the sports enthusiast in your life! This fabric is a high-quality, warm fleece made of polyester. It is brushed on both sides and one side is anti-pill to keep your creation looking beautiful for even with frequent use. It is made of polyester and has a width of 60 inches. But while the fabric has impressive qualities in and of itself, the best part is the football pattern printed on it. We think this fabric would make an awesome throw blanket, adding to the décor and providing warmth. But you can also use it to make a winter scarf or even pajamas. The possibilities are wide and varied. 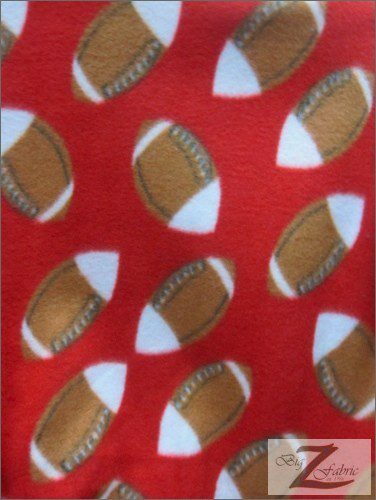 Fleece Printed Fabric Sports Football is available for $4.99, with $1 samples obtainable as well. Celebrate your favorite sport! Posted in Solid Fleece Fabric Rolls	| Tagged Fleece Fabric, fleece fabric wholesale, Football Fabric, football print	| Comments Off on For The Football Enthusiast! Create special and unique gifts for family, friends, and co-workers in your life using fleece. Fleece is a soft, warm, and durable fabric. It comes in all the colors of the rainbow and in almost any printed design imaginable. Prices begin around $6.99 per yard for solid colors and increases from there. Shop around and use store coupons to save even more. It is possible to get personal pictures printed onto fleece to create an extra special gift for V.I.P. in your life. Let your creativity free when designing memorable gifts with endless possibilities of uses. Create a hat, mittens, and scarf set with team or school logos. Design book covers, totes, baskets, or stuffed toys for family and friends. Even if sewing is not your strength, knotted blankets are a favorite for the young and the young at heart. Scrap fabric should never be wasted. Use left over scraps to make Pom-poms, tassels, bookmarks, headbands, ear warmers, drink cozies, dusters, bows, flowers, or small toys for children. When there is fleece available, something can be made. Show off your creative side to all your friends and family. The only thing that can hold you back, is your own imagination. Get your Fleece By The Bulk! Fleece Printed Fabric Army Camouflage is one of our most unique fabrics. This type of material opens up a large canvas of ideas for projects to use this for. While there are many different types of fleece available, the price can be a little bit overwhelming sometimes to those who need quite a bit to complete their projects. 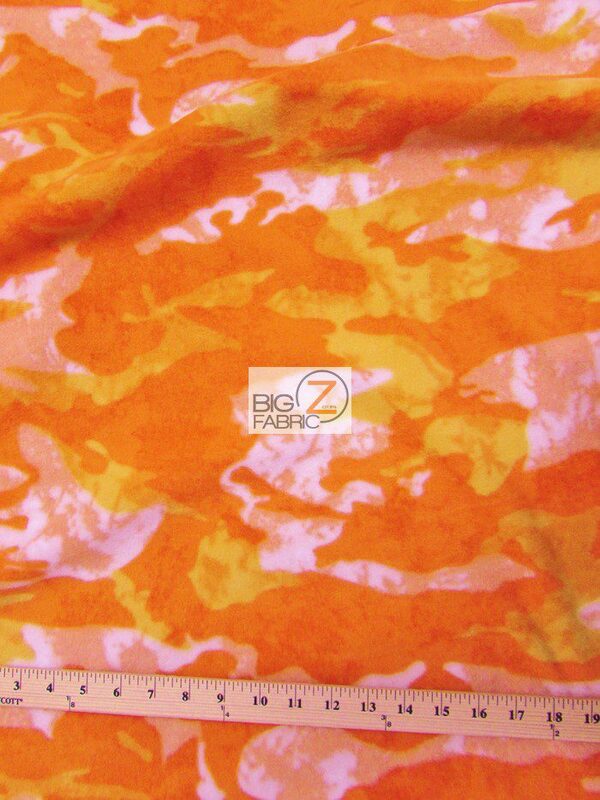 Army Camouflage print is only $4.99 per yard, allowing you to go wild ordering as much fabric as you need to ensure proper completion of your projects. Posted in Solid Fleece Fabric Rolls	| Tagged camouflage fleece, camouflage print, fleece fabric wholesale	| Comments Off on Get your Fleece By The Bulk! Fleece for your Family! Warm, Soft and Colorful!